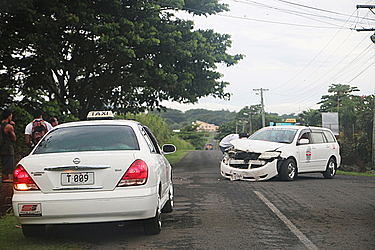 Two more vehicles were involved in a collision at an intersection at Vaitele notorious for head on collisions. The two vehicles collided yesterday morning. No one was seriously injured. Despite the sign that reads “Slow Down High Crash Area”, it appears that some vehicles don’t take any notice at all.